Gateshead NHS Foundation Trust has migrated over one million images and scans to a central archive, which can be viewed from any department in the hospital. Following the end of a National Programme for IT (NPfIT) contract with Accenture, Gateshead chose BridgeHead to deliver the archiving system, which provides the trust with added sharing and protection capabilities for the radiology department. Images such as CT, MR, ultrasound and computed radiography are stored in Carestream’s Vue PACS system. But before the images could get to that point, BridgeHead had to take the data from the Accenture platform and migrate it into a supplier-neutral format before making it available to the PACS. 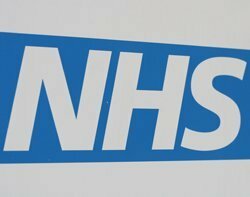 Clare Jones, radiology IT systems manager at Gateshead Health NHS Foundation Trust, says that, over the nine month project, the “burning concern” was localising the imaging data from the locked-down Accenture platform to the VNA. Jones explains that having the data in a supplier-neutral format provides more freedom for the trust to choose a more competitive supplier in the future if need be. Jones says the BridgeHead storage archive is also more resilient than Accenture's in the way the architecture is built. Being a subset of BridgeHead’s wider Healthcare Data Management (HDM) Solution, it offers additional features of backup and disaster recovery. The system is scalable and, in the future, the NHS Trust is considering expanding the scope of the original project beyond radiology. BridgeHead’s platform could be used to streamline legacy hospital systems and store other types of images as well as patient records.